I think it's time for a bit of fun with all the information amassed about the Yowie between this site and Facebook. Let's make a definitive list of the Yowie's reported unusual abilities and how often the ability has been reported. Before anyone says it, no, this topic is in the correct section. We are going to make a cold list from all available witness accounts and interviews, with no speculation, no conjecture, and no controversy. Just a list we can all agree with. 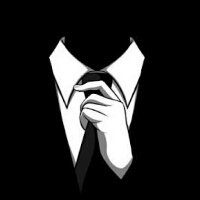 The interviews and accounts will inform this thread. The only requirement if you hear of an unusual ability, is to include a reference of which account or interview the super ability was reported. Would someone else like to go first? Just a thought mate.... so there are 2 main types/sizes of yowie reported.... Jungadee and Dooligal being the most common names they are known by. Whether or not they are related in any way or both have the same or different abilities is unknown so perhaps anyone listing abilities could ,as best as possible, state whether the ability reported is that of a Jungadee or of a Dooligal . What about glowing eyes? Not eyeshine but self illuminating eyes and not dependent on light in any way. This is apparently possible in some animals so surely not too far fetched a statement to make for the non believers? Unfortunately, unlike the US with Bigfoot, there are not that many actual reported sightings of Yowies in Australia let alone records of their unusual abilities. We are just so far behind the US in this area. I do recall one that Wellymon posted about seeing a Yowie move from one point to another at almost the speed of light and another pacing alongside a car that was moving at 80 kilometres per hour. I would have to go back to the forum to source that one. Top of the page . As to 'Super Abilities'... what may seem like amazing abilities only appears that way to us because we don't have them. DISCLAIMER: While I am open to 'magical' abilities personal experience tells me there is nothing 'magical' about such things, just lack of understanding on our behalf. I have performed many 'magical' things myself but because I know the 'trick' behind such acts they are not magical to me at all... simply mental manipulations the 'performees' do not comprehend. Scarts had some interesting experiences that would make the list. Didnt he see a transparent yowie or something? Havent heard from Scarts on here in a while....? 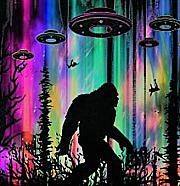 The greatest super ability of Yowie, Bigfoot etc is the avoidance of being captured after centuries of their known existence and you don't need any backup proof there. Please don't feed me all the scientific BS about their expertise in avoiding man it just doesn't wash.
No arguments with your list, Wolf, and Yowiebait, ol Scarts is doing just fine these days. So, for this list, in using the word, "Super" I'm referring to super as compared to average human abilities and known average animal abilities. Also, the term "Super ability" is especially popular in pop culture at the moment, in particular with comic book movies, tv series, sci fi movies, supernatural movies, tv series, etc., so when we use this term, everyone is pretty much on the same page and understands what this is a list of. There may be some debate as to the inclusion of exclusion of some of my suggestions, so be it. I had to start somewhere to springboard in, so, I'm starting with the book, "The Yowie", by Paul Croppr and Tony Healy, and shamelessly using their Appendix A - Catalogue of cases from 1789 to 2006. I justify this decision, as frstly, the bulk of their witness interviews and reports were handed to them at the time via this very website. ( Is this AYR's 20th birthday year). Secondly, most members here would be familiar with that book, and possibly own a copy. Lastly, Healy & Cropper are going to be releasing a follow-up yowie book covering the last 12 years, and reports from early settlement, as well as reports from years that their first book covered, with new reports that have since come to light. I've come up with 10 super abilities reported, and will number them as I spool them out. This way, any researcher if they want to, can go to their own research or the videos on YouTube or Facebook, or wherever, and when they come across one of these abilities can note the corresponding number or simply ad it to the list with the number. This way, I expect the list of examples for each, can just keep growing, and everybody and anyone can contribute. If this is successful, perhaps each ability can be denoted it's own thread, where examples of the super ability can just be added as people find them or come across them in the field. 1) Case 4: Phillip Island, Victoria, 1849, Party led by Mr. Hovenden, "allegedly fired at a large creature that was "in appearance half man, half baboon." 2) Case 116: West of Pambula, NSW, 1977, Kos Guines, "shot at a huge black creature like a gorilla". 3) Case 141: Kilcoy, QLD, 1979, Warren Christianson, while pig shooting at Sandy Creek, 4kms West of Kilcoy, encountered a 3 meter tall yowie which appeared 20 meters away while he was having lunch with companions. "Warren grabbed his .22 rifle and fired from the hip." "I think I might have hit it, but it just took off." 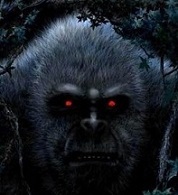 4) Case 153: Vulcan State Forest, NSW, near Oberon, 1982 - 1992, a Sydney man had 6 encounters with a strange creature described as an upright gorilla, "On another occasion, he fired several shots from an air rifle (at extreme range) directly at the animal in a futile effort to make it move. It merely turned side-on." 5) Case 90, The Jingeras, South of Captains Flat, NSW, 1971, Night, Jim Banks and Stan Hunt saw a "heavily built, seven foot tall hair covered creature running across a paddock. Jim fired 2 bullets into it's back. It threw up its arms, let out an unearthly sort of squeal, and kept running." Thats actually quite convincing seeing the accounts listed like that. Be a hard slog getting to 15 though. I can think of a few where they shot AT a yowie but didnt claim to have hit it. ( Is this AYR's 20th birthday year). Impervious to gun fire, it’s called ‘buck fever’ it means you are so excited you tremble, jerk the trigger, and miss. I’ve seen people try to put down an animal from close range and miss, they are not and never will be impervious to gunfire. ... and Yowiebait, ol Scarts is doing just fine these days. ... a change is as good as a holiday hey? "...It was at this same time that several of our team members were called to Bandera County, TX where the forestry scientists/biologists assigned to Edwards Plateau reported the dead bodies of a strange type of human. (Wentsworth?) The first reports I received were speculating that they were feral humans from the local Comanche Indian tribes. The bodies were supposedly found in or around one of the massive caves within the Edwards Plateau area. When I arrived in Texas, I was surprised to find 3 bodies; one adult female and two female juveniles. I examined them as I typically would any human subject. But to my dismay–one of these creatures still seemed to be alive. I became quite upset with the local scientists–but they reassured me that they confirmed all 3 were deceased. After further investigation, I found that these creatures were not human. They, in fact, had a remarkable rapid reparative process (hence the reason one of the creatures seemed dead–but in fact was regenerating to a degree). Unfortunately the restorative abilities of the creature were not enough to keep it alive. They were massive in size and distinctly a new primate species unknown to science at the time." A .45/70 or .300 Winchester would be a starting point imho. Guys you will have to go and shoot one to find out. Make sure its a good shot though! Well thats a super ability. " The Flash" runs so fast he is just a blur. Maybe hairys can move so fast they cant he seen by the naked eye or appear to be gliding...or maybe they can just glide? 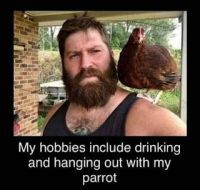 The junjudee that Jumps in the back of that ute that everyone says is an eagle is a good example. Doorway, I settled on "impervious" instead of "invulnerable" to gunfire, simply because there is no evidence the health of any yowie has been affected by gunfire. Any average human or animal shot, requires medical treatment or veterinary treatment or they die. With the yowie, no blood left behind and of course no body left behind. Yes, it's possible each of the gunmen simply missed, but in these cases they each say they didn't miss. Some were at close range. They also didn't mention super speed or another super ability while trying to shoot. Further, they were each using long arm weapons, and as most people familiar with firearms knows, long arm weapons are used for hunting because they are accurate. There have been a lot shot, hit by trucks, you name it. There are plenty of reports, especially of them being shot in the states. Art Bell took a famous call once from a hunter who with two friends unloaded on one, then shot its mate. Thanks for throwing that in, I figured someone would have a Rex Gilroy book laying around with a few more IMPERVIOUS TO GUNFIRE accounts, but maybe not. I'll be in touch with Healy and Cropper about any new ones. So, regarding that vid, any chance Ed Hale is tipsy and lying through his teeth in that interview? The fact he's talking about it on social media, after being threatened by "govt agents" reeks to high heaven. A Shepherd in W. Sutton's employ, claimed he saw a hairy man in the scrub north of Cunningham's creek. His dogs which hunted everything else, ran from the creature with tail between legs. An unnamed Spaniard encountered a hideous "yahoo" near the abandoned village of bottle forest. His usually savage dogs ran to him in terror. John Chaffey recounted a story of a party of prospectors from the 1830s whereby they ventured to the mouth of the Ettrema and while camped at midnight, their dogs with savage snarls and terrified looks rushed into the tent and crouched by their masters and then cleared out. The startled prospectors looked out and saw in the moonlight, hairy men creeping around their tents. Your list Black is identical to Bigfoot abilities in the US. Yet there are still people that will say none of these super propensities indicates supernatural abilities. Obviously, to them, the supernatural doesn't exist. There is a perfectly logical explanation except they cant explain what it is. Sensesonfire, I agree. Last time I checked, humans and animals don't normally possess these abilities. But, most people also don't understand that our physical world of solids, liquids, and gases, also extends into more subtle matter - much like the substance outer space is made of - either. But, that's a topic for another time. Super fear - In Batman mythology, his nemesis the scarecrow, invented a gas that when breathed in, makes people experience their most debilitating fears. The Yowie does it without gas and with a namelessness to the fear. Just a general, uncontrollable super fear.